The idea of a good cafe and restaurant site is to highlight its cuisine. This is how the following design acts. The calm dark background accentuates the content part with the main information placed there. Its top part is set for the title that can be effectively done using bold type. The content is visually subdivided with zigzag cut and some key points are marked with orange elements. I&#039;m very stified with this purchase. Template is done very well. There is not any bugs. 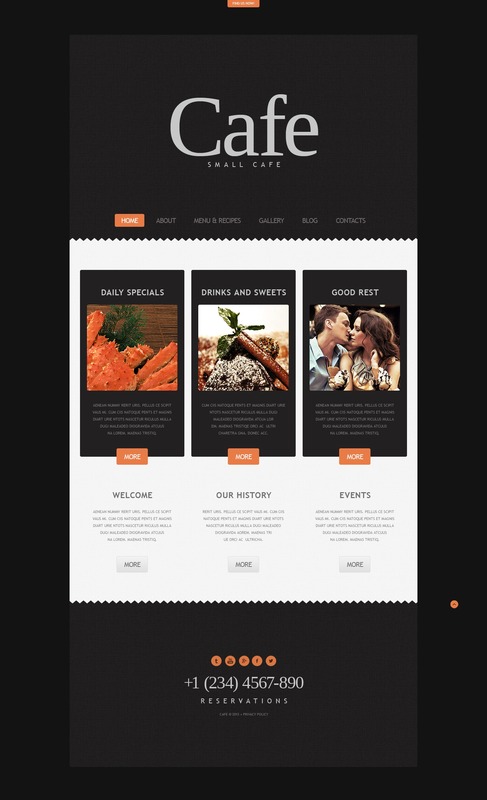 The theme is intended for care, restaurant, music, food, and entertainment websites.